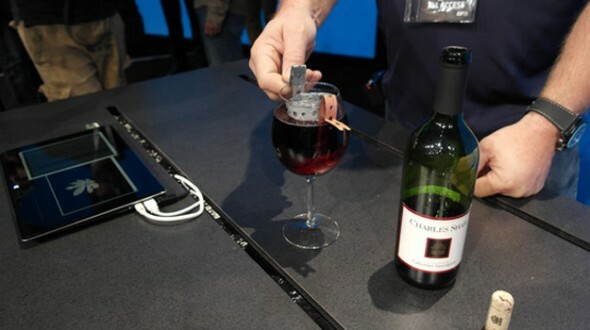 This actually happened: at the Intel Developer Forum (I’d never heard of it either) they used a glass of red wine to power a computer. Are you kidding me??? Wine is the best. Apparently, the acetic acid in red wine acts as an electrolyte that produce a small current. I stole that straight from geek.com, I have no idea how it all works. I was also glad to see they used some good old two Buck Chuck and didn’t waste like a Chateaneuf du Pape on this experiment. Anyway, I have over 200 bottles of wine in my apartment at any given time. If we ever lose power, I will be SET. Tags: chateauneuf du pape, intel, two buck chuck, wine. Bookmark the permalink.